Roll and hook is the most water resistant. Roll toward the shoulder straps and then snap the buckle the opposite way. The Rapide Hook and strap can then be secured to the front daisy chaing. This hook and strap allows you to put a jacket or other additional load on top of the pack when necessary. Roll and side clip uses the small carabiners that come with the pack to attach the rolled ends to the daisy chains on the sides. 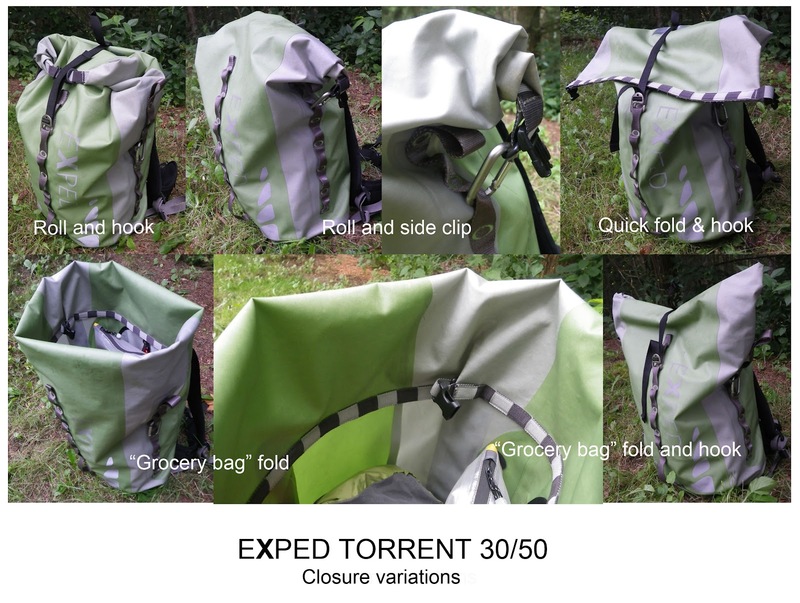 Quick fold and hook is good when you might be getting in and out of the pack often. Still sheds water. 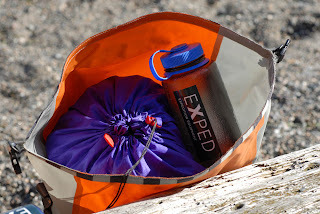 Grocery bag fold is very useful when you know you will be reaching into the pack often and rain or splashing isn't a problem. 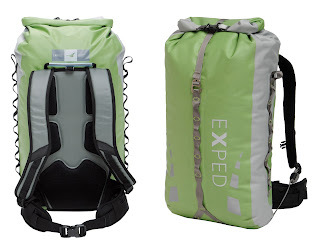 Just tuck the upper part of the bag in on itself to shorten the pack and give it a bit of extra stiffness. When in grocery bag mode you can also strap the top partially closed, which allows you to slip a hand into the bag easily for an item in the top.